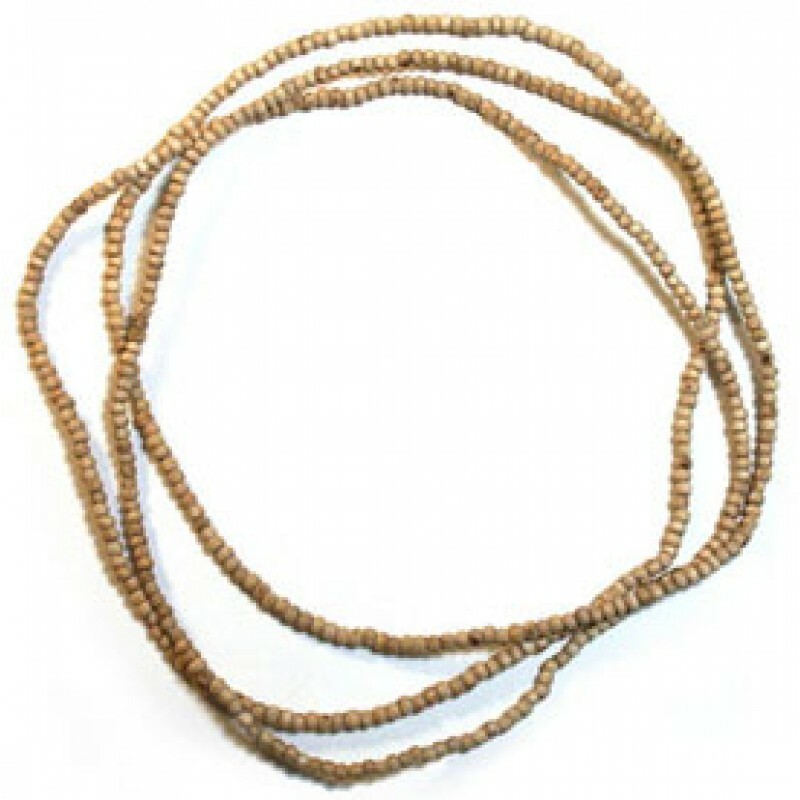 Pure tulasi neckbeads, 17 inches in length (one strand around the neck) with medium sized, round beads. The tulasi beads are strung on tough nylon monofilament thread, with a brass screwing clasp. This mala is for wearing on the neck (not for japa).